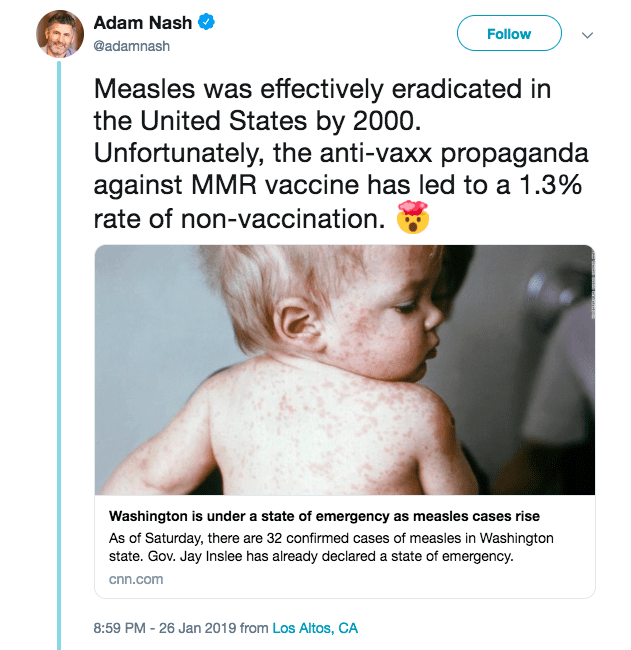 In case you haven’t heard, Washington state is currently experiencing a measles outbreak due to the rising number of parents who have chosen not to vaccinate their children against the once nearly eradicated disease. 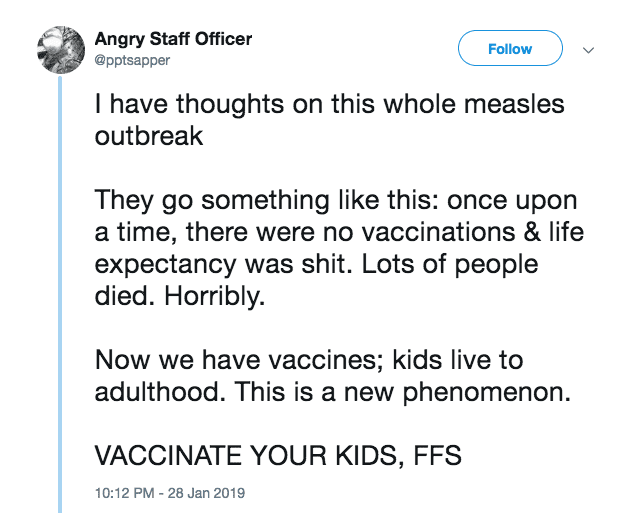 These parents ignore the fact that herd immunity depends on all eligible people receiving vaccinations and insist they’re within their rights to make medical decisions for their children. Though they lack any medical degrees and go against the recommendations of all people who do, mind you. 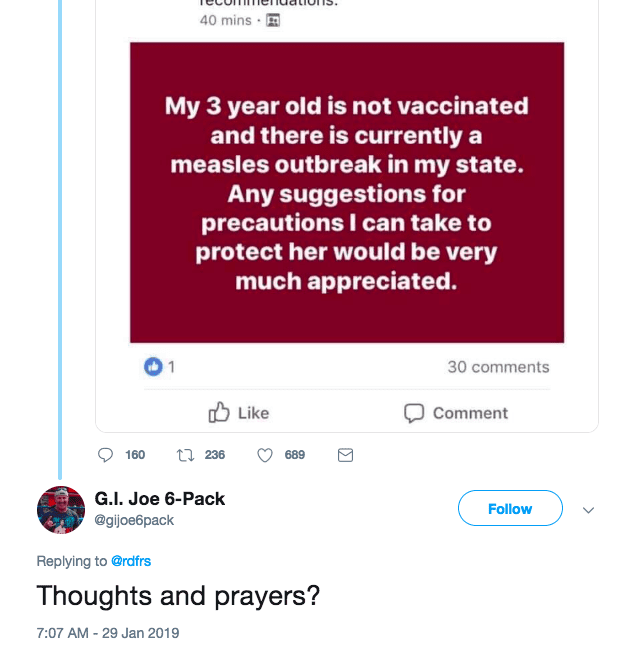 Recently, one Washington mom’s post went viral after she admitted her 3-year-old wasn’t vaccinated and asked for advice on how to protect her from the current outbreak. As you can imagine, the internet had some thoughts on how she could make that happen. They also have some thoughts on her decision in general, and on how it could possibly affect other people’s children. Most of the responders didn’t mince words, and at least one person with autism added her two cents. 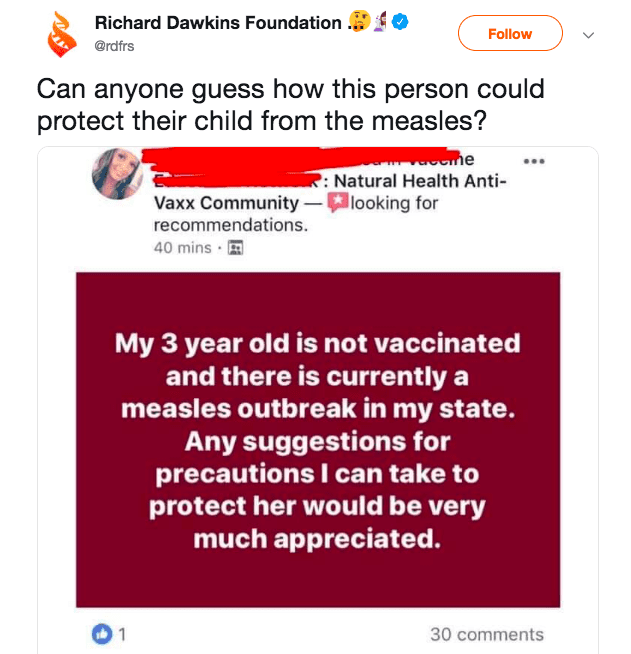 tl;dr: if you’re worried about protecting your child from measles, let me tell you a secret…there’s a perfectly safe vaccine for that.